Today’s Fantastic New Future Week Pick is part of the nigh avalanche of Starfinder material falling onto the digital shelves. This one launches a campaign featuring the crew of the Void Racer in a hard SF setting. The Mystery of Station C-47 is perfect to give your group a single session of adventure and see what you think of Starfinder, with the built-in elements to lead to a full-blown campaign. The first official adventure in the StarSea Chronicles! Follow the crew of the Void Racer as they struggle to survive on the edge of known space. New enemies, and new weapons, including hints of ghosts from the past. Ready to sit down and play with no preparation. Five pre-made characters ready to sally forth to adventure. A one-night game session tailor-made for turning into an entire campaign. Immerse yourself in the Adventure. Starsea Chronicles is the hot Starfinder Role-playing Game compatible campaign setting from Dire Corgi Games. 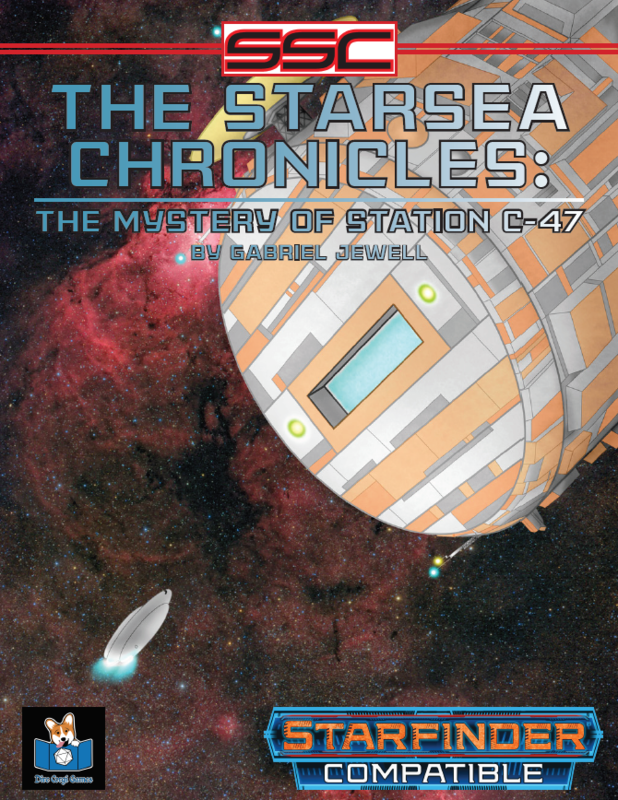 The Starsea Chronicles is a “hard” sci-fi companion setting to the core Starfinder The Roleplaying Game setting. Completely compatible with the Starfinder Roleplaying Game. Jump into the Starsea Universe for a game full of endless possibilities.